When you kill a legend, it becomes inspiration, and you can't kill inspiration. Jeremy Corbin and Jacqueline Walls lead a calm life in a New Jersey suburb, then one day everything changes. 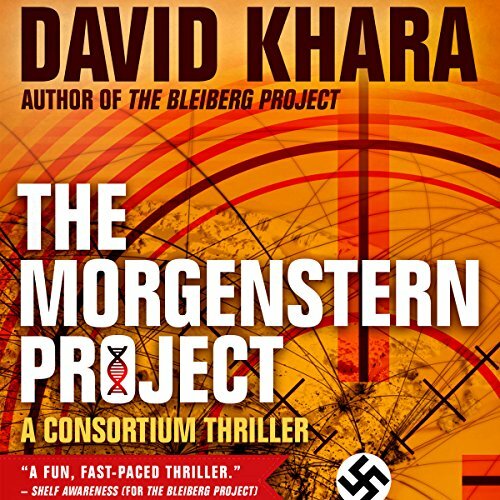 Eytan Morgenstern returns to save them, and this improbable team must take on the Consortium, leading them on an epic journey from London to Tel Aviv, from the Polish forests to Manhattan high-rises, from the shameful past to the threatening future. After a lifetime of bringing Nazi war criminals to justice, the Mossad operative is once again fighting those who wish to study his superhuman body. The self-sacrificing secret agent must rely on the help of his friends to finally free himself of the physical and emotional scars of his past. ©2013 Editions Critic; English Translation 2015 Sophie Weiner (P)2015 Audible, Inc.